Things I Learned From Reading "
Brand Loyalty" By Mary-Kate Olsen in The New York Times' T-Style Magazine: 1. Mary-Kate Olsen has a large, red quilted Chanel bag that she borrowed from her sister Ashley. I have a large, red quilted Chanel bag that I borrowed from my sister Ashley. Evidently, that fact alone is enough to write an article about. 2. Short sentences are totally the new black. Or at least the best way to get into the New York Times. 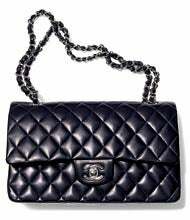 I have a large, red quilted Chanel bag that I borrowed from my sister Ashley. I wore it to an event and never gave it back. Luckily, she's moved on to another bag, so I'm safe for now. I'm not quite sure how many bags I have, but let's just say I have a few. When I find a bag I like, I tend to wear it to death until I become obsessed with another one. This probably happens three to five times a year. But I always come back to the Chanel. 3. Specifics are overrated. Especially when describing something. The size isn't overwhelming, and it has enough subtle detail to keep it interesting. I also have the smaller version in blue and in white, but the red is definitely my favorite. I don't have a stylist – I'd rather just do my own thing and put together my own outfits. The chain-handle bag is the perfect accent to almost any combination I come up with. I look at everything with a designer's eye, but I wouldn't change a thing about this bag. I think that's why it's a true classic.